It all started with a boy.... and 20 years later, Shelley gave up the gold for love. So, after 13 years of practicing labour and employment law in Ontario, leaving a firm she had been with for 23 years, family and friends, she followed her heart to beautiful Victoria and hasn’t looked back since. The other basic stuff: BA, Political Studies, Lakehead University (1994); LLB, University of Windsor (winning the Koskie Minsky Award for Labour Arbitration), (1997); Ontario Call (1999), BC Call (2012); 13 years in practice, exclusively in labour and employment law; Former managing partner of a 13-lawyer, 25-staff firm; Now calling Victoria home and working with PEARLMAN♦LINDHOLM. Shelley thrives on challenges and getting the job done right. Labour and employment law is about achieving success through forging relationships, overcoming obstacles and pre-emptive planning in a variety of workplace environments and legal situations. Shelley combines her knowledge and expertise with practical skills and common sense to lead your organization through any challenge…from beginning to end. Work hard, play harder. When given the chance, she dives, surfs, swims, runs, rides, climbs, curls, paddles, jumps, flies, acts, volunteers and only occasionally cooks. 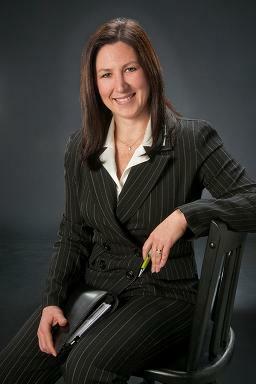 Shelley is your investment in integrity, trust and peace of mind when you need legal advice and representation most. Shelley’s practice extends to all aspects of management-side labour and employment law, with a particular expertise in human rights, and offering advice and representation for employers and management staff in all sectors, including construction, forestry, transportation, communications, manufacturing, industry, retail, government, municipal services, education, social services and health care. In addition to her advice and representation, human resources professionals, management and executive teams will benefit from general or custom-designed workshops, consultations and management-specific training based on her skill as a seasoned author, presenter and lecturer throughout her career. Time is short, budgets are tight. Get the expertise and experience you need in the workplace when it counts the most. Contact Shelley for options about hourly, daily and fixed-fee and special rates for what best suits your situation. Let’s work together. © 2019 Shelley Quinte, All rights reserved.